Originally from Chicago, Ned Bertz attended the University of Illinois (Urbana-Champaign), including a year abroad at the University of Aberdeen (Scotland), and graduated with undergraduate degrees in History and Accountancy. He was trained in modern South Asian and African history while completing his M.A. and Ph.D. at the University of Iowa. 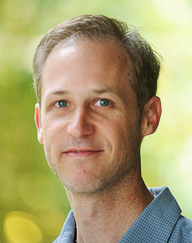 Seeking to bridge area studies approaches and write about historical exchanges between South Asia and East Africa, Professor Bertz has spent many years conducting fieldwork in India and Tanzania, including studying Swahili, Hindi, and Gujarati. His first book traces the transoceanic connections of the Indian diaspora in Tanzania through the themes of colonialism, nationalism, race, and urban space, linking western India to East Africa across the history of the twentieth century. His current project is a transnational history of the Partition of India, reframing this critical event within a longer-term process in which new ideas about territoriality, mobility, and belonging reshaped people’s lives all around the western Indian Ocean. Professor Bertz teaches courses about the history of South Asia, Africa, and the Indian Ocean, in addition to world history, history and film, history and literature, senior thesis, and historiography, among other offerings. In 2013-14, he served as the Resident Director of the UH Study Abroad Center’s program in India while a Visiting Faculty Member at Ambedkar University, Delhi. In 2010, he was awarded the University of Hawaiʻi Regents Award for Excellence in Teaching. 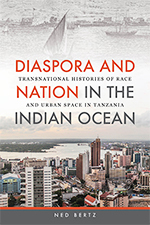 Diaspora and Nation in the Indian Ocean: Transnational Histories of Race and Urban Space in Tanzania (Honolulu: University of Hawaiʻi Press, 2015). “Indian Ocean World Cinema: Viewing the History of Race, Diaspora, and Nationalism in Urban Tanzania,” special issue on “Print Cultures, Nationalisms, and Publics of the Indian Ocean,” Africa 81 (2011): 68-88. “Traces of the Past, Fragments for the Future: South-South Cooperation in the Indian Ocean,” in Renu Modi, ed., South-South Cooperation: Africa on the Centre Stage (UK: Palgrave Macmillan, 2011): 61-72. “Indian Ocean World Travellers: Moving Models in Multi-Sited Research,” in Helene Basu, ed., Journeys and Dwellings: Indian Ocean Themes in South Asia (Hyderabad: Orient Longman, 2008): 21-60. “Educating the Nation: Race, Diaspora, and Nationalism in the History of Tanzanian Schools,” in Sara Dorman, Daniel Hammett, and Paul Nugent, eds., Making Nations, Creating Strangers: States and Citizenship in Africa (Leiden: Brill, 2007): 161-80.